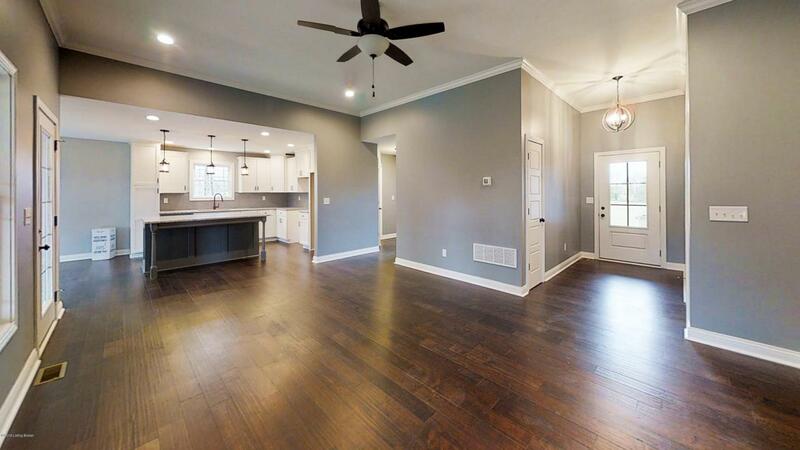 This fantastic newly constructed walkout ranch features an open great room, dining area, and kitchen. 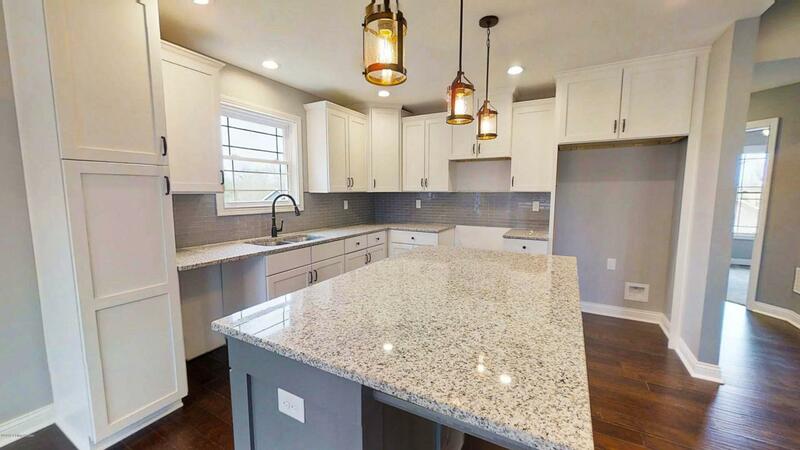 The gorgeous kitchen offers island with breakfast bar, granite countertops, all white cabinetry, and tile backsplash. The spacious master suite has a tray ceiling and private bath with sliding barn door access, double vanities, tiled walk-in shower, and walk-in closet. Wide plank wood flooring is throughout most of the 1st floor. 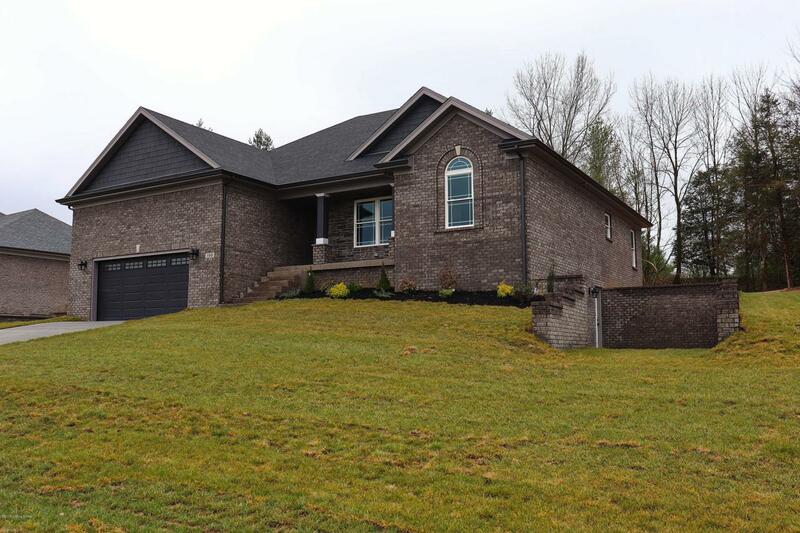 The full unfinished walkout basement offers tons of storage space and leads out to the side patio. There is also a covered patio off the great room that looks out to the large backyard. 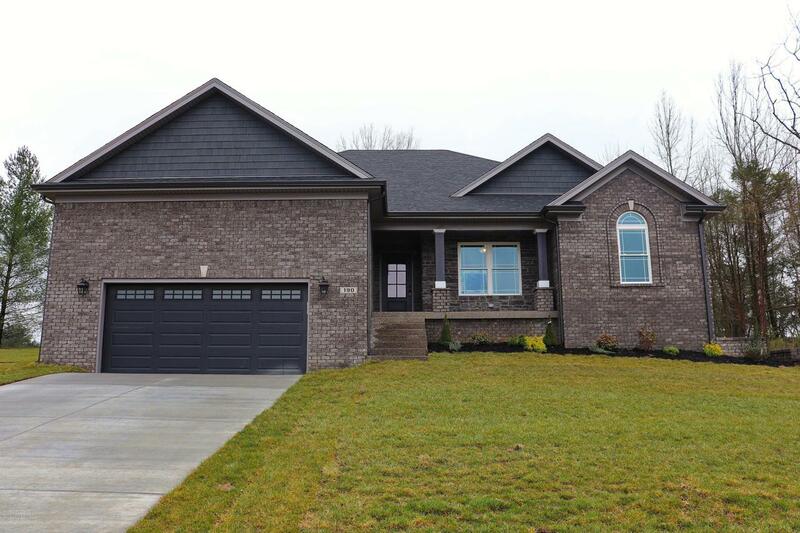 Other amenities include: separate laundry & mud room, covered front porch, and 2 1/2 car garage.This upscale neighborhood is serviced by a privately owned sewer system and only all brick homes are allowed.